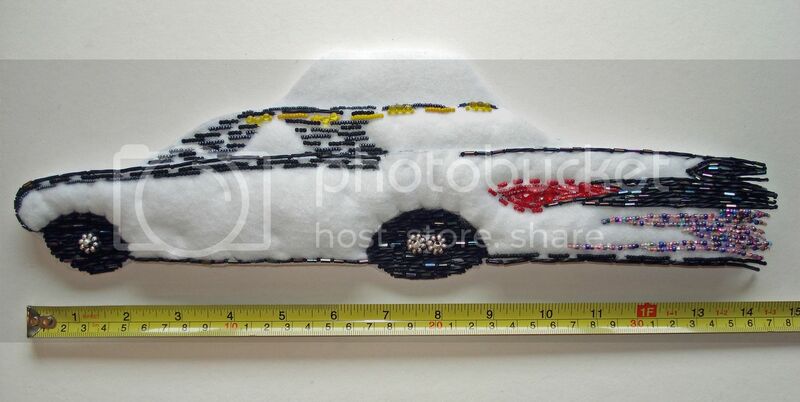 Semi-beaded NYC taxi cab #3. Bead embroidery on felt. 14" x 4.5" (36cm x 11cm). « Announcing 2 Upcoming Exhibitions!